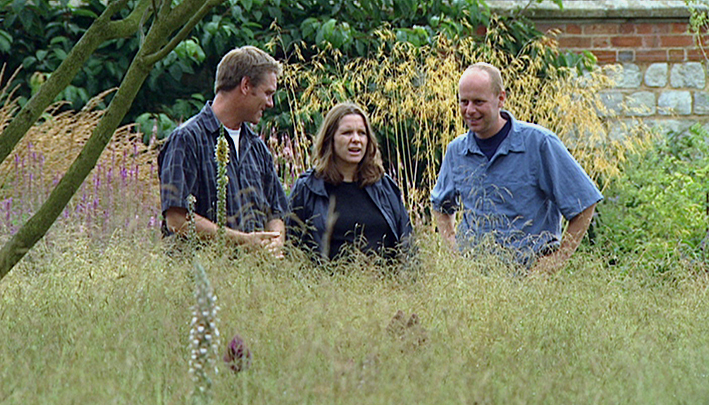 ‘Small Town Gardens’ was a garden design series which ran for three series, from 2001-3. The first series was produced by London and presented by Rachel De Thame, the programme was then handed over to BBC Birmingham. The second and third series were produced at Pebble Mill. I really enjoyed being the series producer, they were great series to work on. The producer/directors included Mark Scott, Kate Dillon & Paul Vanezis. Sarah Wilkin, and Emily Rusted were researchers, Sarah Costigan and Joanne Gray were PAs. The second series was presented by garden designer Joe Swift, with the final series presented by James Alexander Sinclair. The premise of the show was to re-design small urban gardens, employing professional garden designers, taking them and the garden owners on inspirational visits, and shopping trips. 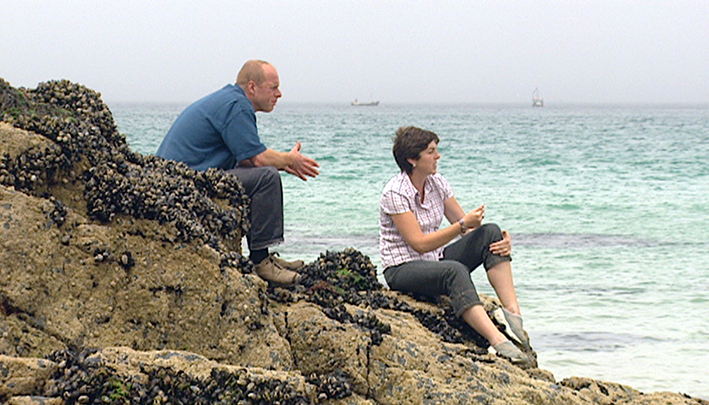 The first photo is of Joe Swift with garden designer Annie Guilfoyle, who designed a garden in Brighton for the series. The second photo shows garden designer Andy Sturgeon with one of the contributors and Joe Swift. The garden Andy designed was in East Sheen, in West London. Both photos date from 2002. The series went out on BBC 2 at 8pm on Friday nights in autumn 2002.